Del Taco has introduced their "Classic Taco" for 99 cents. 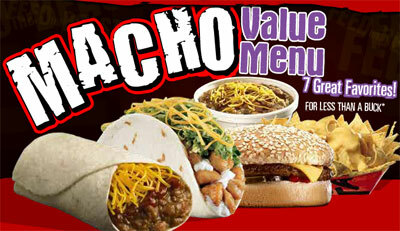 You can also "make it a meal" for $3.99: 2 tacos, small fries, small drink. 200 calories, 110 calories from fat, 12 grams fat.